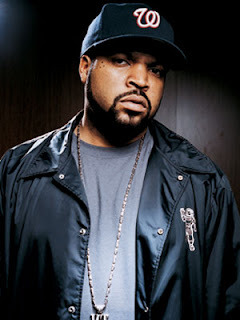 Ice Cube will be returning to television to help pen an upcoming police comedy series for NBC. According to Variety, the rapper-turned-mega actor will both write and executive produce an untitled show aiming to offer the major network something different to help compete with TV ratings. While his role on the project is off-camera, the executive would not mind if Cube offered some on-screen time in the process. The West Side Connection leader’s last stint on television was executive producing Showtime’s “Barbershop” series and FX’s “Black. White.” He is also responsible for providing a voice over for MTV’s animated version of his hit movie Friday. No release date or title has been announced for the upcoming NBC series. He has always been a better MOVIE STAR than a artist.